I was heading into the weekend feeling rejuvenated after doing this. It wasn't about how many pounds or inches I would lose, it was about getting on track by feeling less bloated. 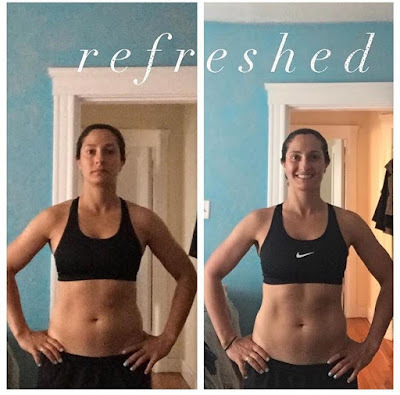 3 day refresh included eating REAL FOOD and having my normal shakeology along with some vanilla shakes that come with it. It is not a starvation diet for 3 days. You feel full and satisfied and it worth it. Now, I am sleeping better, feel healthier, cravings have been reduced, and that bloated feeling is definitely gone. Thank you 3 day refresh for calling me to feel like me again! :) And yes, 5.5 pounds were lost. I did not take my measurements but I am sure that I lost some!